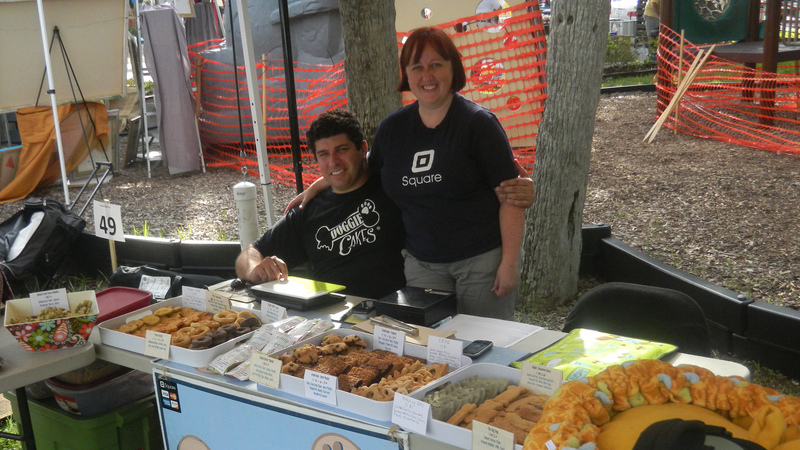 Doggie Cakes was founded in 2007 as a home-based business in New Port Richey, Florida by Trina Messano and husband Jason Longo. The company bakes fresh dog treats and cakes, with original recipes, using 100% human-grade, dog-safe ingredients and no preservatives. They are made fresh prior to each sale and shipped/delivered promptly. A variety of cookie shapes, flavors, and sizes are available for the gourmet pet. Doggie Cakes keeps its audience engaged by producing unique treats for each season and special holidays. Trina bakes custom treats and cakes to the customer’s specifications, dog’s dietary restrictions upon request. 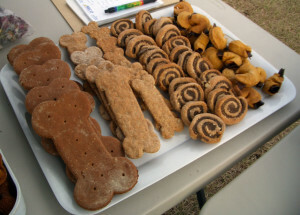 The uniqueness of Doggie Cakes is hand-made, fresh-baked dog treats and cakes, and also in-house production of many main ingredients. Doggie Cakes makes its own delicious applesauce, pear sauce, and peanut butter – all have no added sugar or preservatives. The peanuts are hand shucked from raw, unsalted peanuts and the fruit is hand peeled from seasonal, local offerings. Doggie Cakes mixes its own gluten-free flour, and has selections that use other hypoallergenic ingredients. Doggie Cakes are sold at DoggieCakes.com, on Amazon.com, at local retailers, and at events in Tampa Bay.